When quality is one thing that counts for you, it counts for us too. Quality with Daytona® means that only the finest raw materials are used and that the boots have been handcrafted in Germany only with the most modern techniques. When it comes to technical innovation, Daytona have always been one step ahead of the competition, and remain ahead by utilisng the very latest in materials and technical processes. 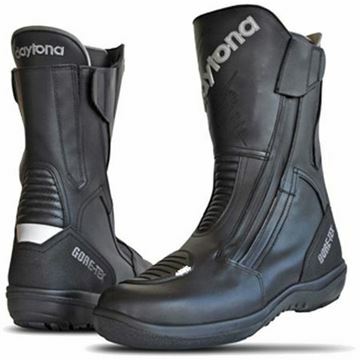 As pioneers of the motorcycle inner boot, Daytona also place motorcycle safety at the forefront of everything they do.